Billie Joe Armstrong's The Longshot Drops Surprise Album And 'Love Is For Losers' Video - GENRE IS DEAD! 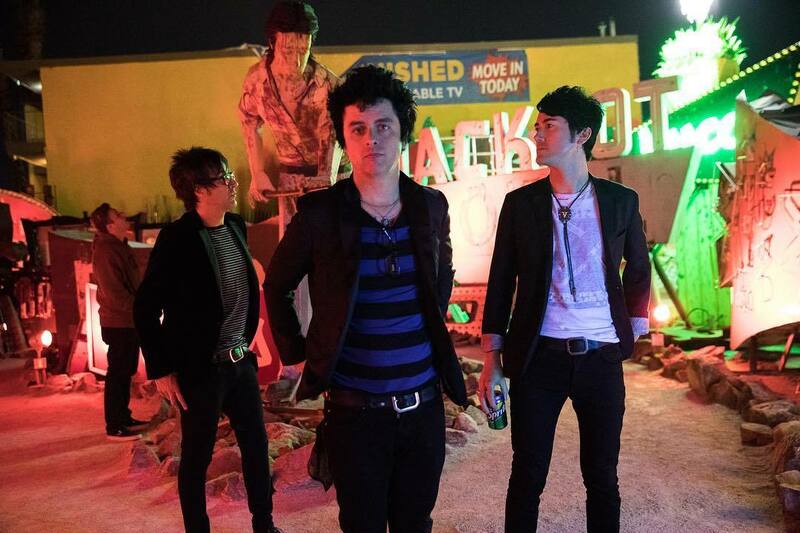 Just last week, Billie Joe Armstrong released a three-song EP from his new band The Longshot. Now, the band has surprised fans by releasing their full-length album, dubbed Love is for Losers. Clocking in at 32-minutes the album features 11 tracks, including the ones previously released on the EP. The band also revealed their debut music video for the title track directed by Brendan Walter. The clip features Armstrong and his bandmates, Jeff Matika (guitarist), Kevin Peterson (guitarist), and David S. Field (drummer), rocking out under the glow of flashing carnival lights. Check out the video along with the Love is for Losers tracklisting below. Stream and purchase the album here. UPDATE: The Longshot have released dates for their upcoming summer tour. Shows kick off May 3 in Tijuana, MX and wrap up June 2 in Philadelphia, PA. Tickets go on sale Friday, April 27. Check out all the dates here. On the band’s Instagram page, it’s revealed all the songs were written by Armstrong, expect closing track “Goodbye to Romance,” which is an Ozzy Osbourne cover from his solo album Blizzard of Ozz. Since the release of their EP, the band has played several shows in California. They’re set to play another live show this weekend. Over the past few weeks, Armstrong has been teasing The Longshot by posting cryptic teasers of songs and artwork on Instagram. He officially revealed the band last week when they quietly dropped their self-titled EP. It was first believed that Armstrong’s son, Joey, was involved after he hinted on it on his Instagram page. For the latest updates on The Longshot be sure to follow their Instagram page. Pingback:Billie Joe Armstrong Releases 'Devil's Kind' And Other Previously Unreleased Tracks - GENRE IS DEAD! Pingback:Billie Joe Armstrong's The Longshot Cancel Summer Tour Dates - GENRE IS DEAD!